Quickmax eyelash enhancing serum comes in a golden cardboard box with a leaflet, application instructions and list of contraindications. Nice and golden bottle holds 5 ml of the serum. It is enough for the whole treatment because its main task is making the lashes darker and stronger. It is excellent in fulfilling this role. Quickmax serum has a light gel formula – it is absorbed more slowly (more or less 5 minutes) but it doesn’t drip off the eyelids. The first effects of the treatment can be seen after about 3 weeks – the colour of the lashes is more intense. Next weeks of the treatment make the eyelashes stronger (Quickmax serum strengthens the bulbs by penetrating inside them). The eyeliner brush has long and stiff bristle so it is easier to scoop the substance. Applying the serum to the upper eyelid is trouble-free and takes up a moment. You need to be more skilful to spread it on the lower eyelid – the brush measures a large amount of the serum. 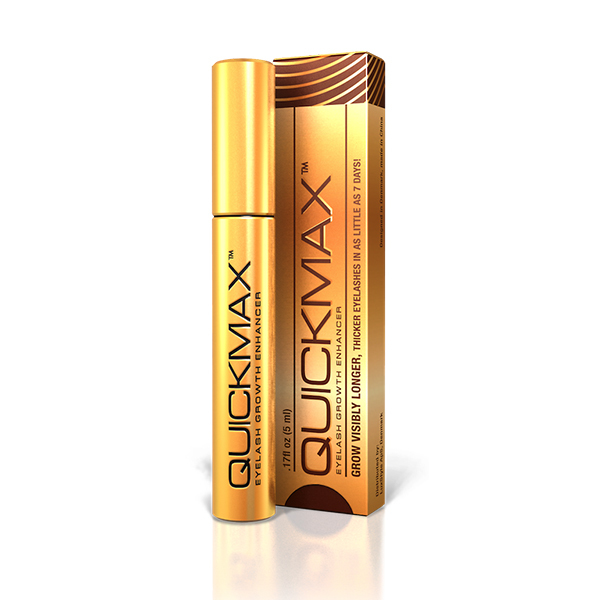 Quickmax eyelash serum is a bit larger than other eyelash enhancers because gel formula runs out more quickly. Regularity in Quickmax application pays off – eyelashes are a bit longer after completed treatment. We must be systematic and use Quickmax conditioner regularly for six months. After this period of time, we achieve first visible effects. We must thoroughly remove make-up before applying the product. Eyelids should be clean and dry. Gel formula of Quickmax serum doesn’t drip off the lids. On the other hand, we must be patient, wait long until the conditioner is absorbed and be careful not to rub the eyelids.